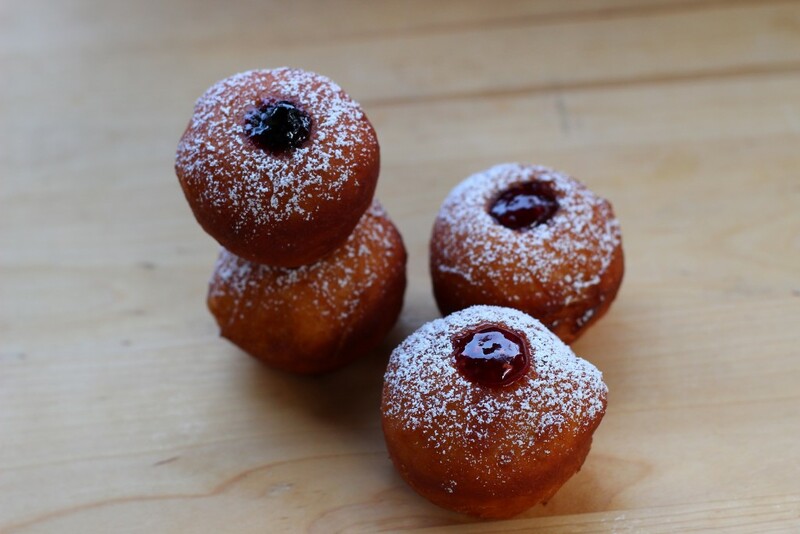 I made doughnuts yesterday! Becauuuse doughnuts are delicious. Anddd it’s Hanukkah! 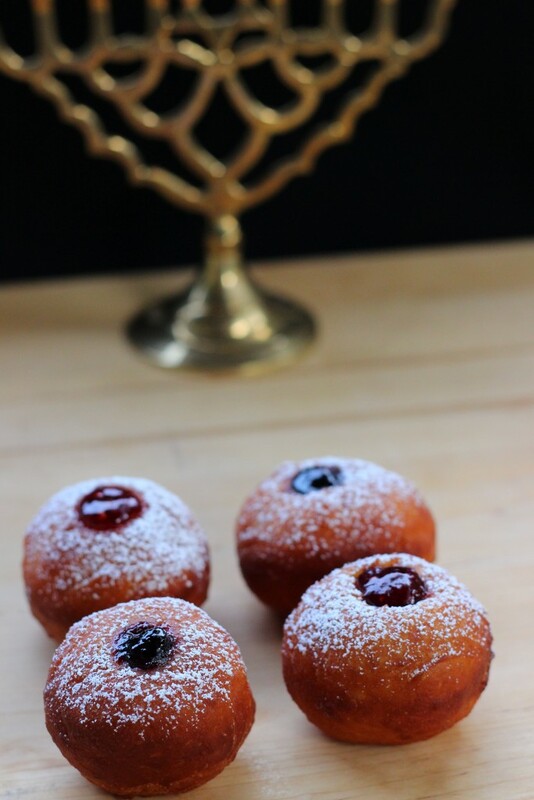 And at Hanukkah, we fry things. Happy Hanukkah to all my internet friends out there (probably not very many of you seeing as I can never manage to keep a constant rhythm with this little blog… apologies yet again for the scattered posts). 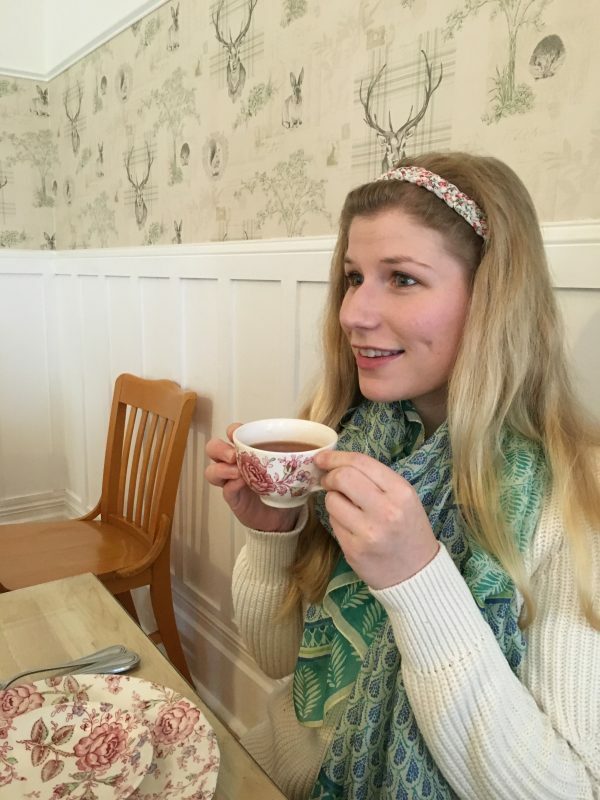 I am half Jewish on my dad’s side, so I grew up with some cultural influences and ties (mostly food related obvi). 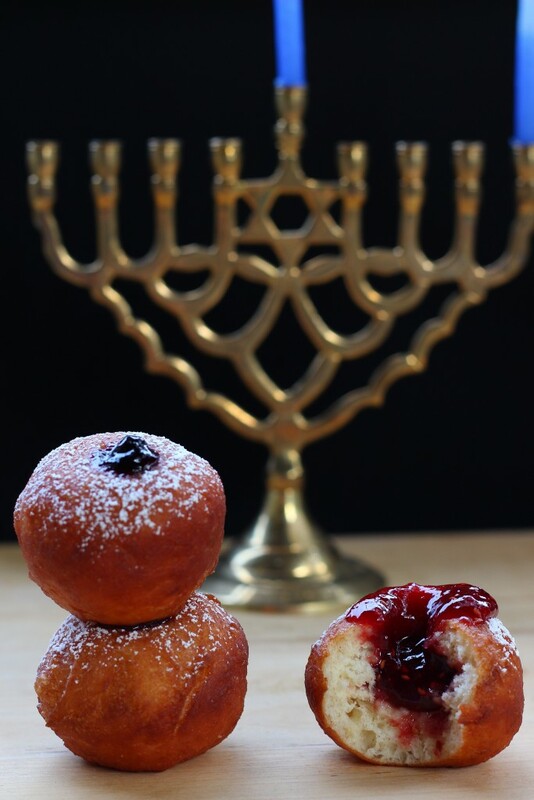 I celebrate Hanukkah and other Jewish holidays loosely. 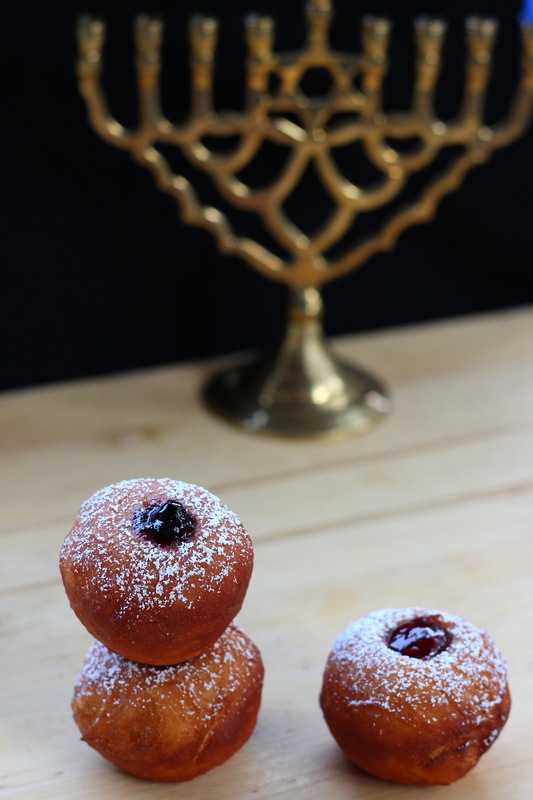 We’ve always had a Menorah and played dreidel as kids, I love baking challah, making latkes, eating matzos etc. But I also grew up with Christmas from my mom’s side of the family. I’m not religious at all, but I like to celebrate the other cultural aspects of my heritage. Since coming back from Israel last summer through Birthright, I’ve definitely felt more connected to my Jewish roots. This year has been a big doughnut year. I always liked them. But something happened this year and now I LOVE them. They’ve become one of my favorite sweets. 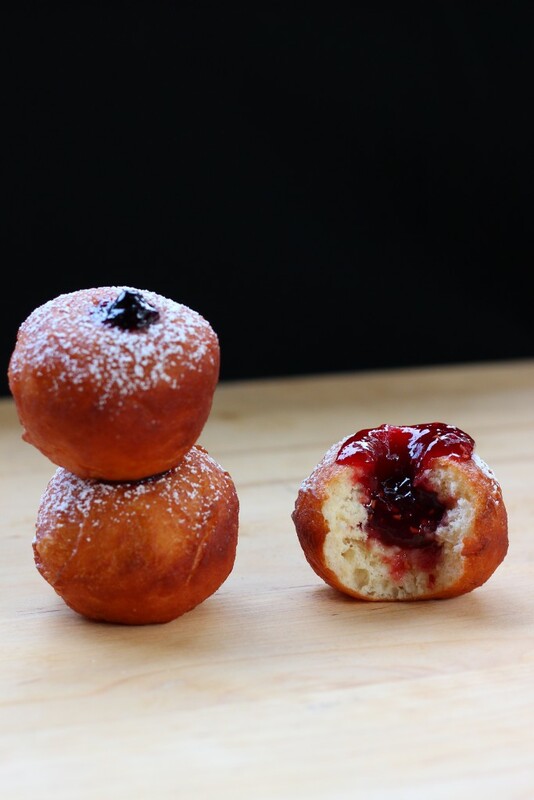 I made Berliners (German doughnuts filled with jam) in culinary school last year, but I had never made doughnuts at home before! So I thought, what a perfect chance to make ’em. 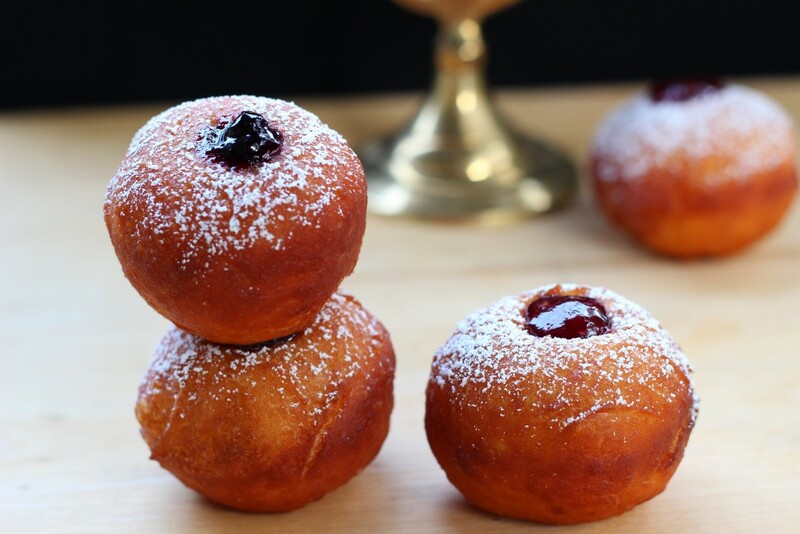 Sufganiyot are a Jewish take on jelly doughnuts. 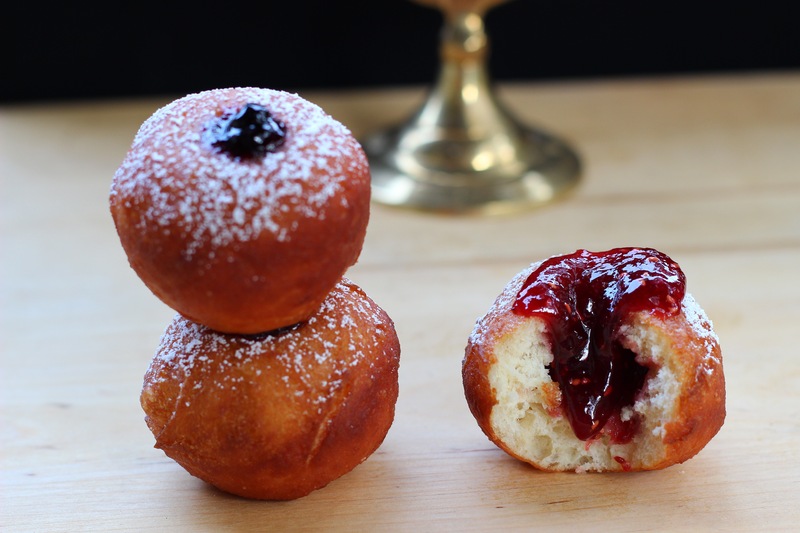 They’re typically made with an enriched yeasted dough, filled with a jam or custard and dusted with powdered sugar. Super simple, but so so so tasty. Mixing: Mix the dry ingredients together in the bowl of your stand mixer. Add in the eggs, butter, zest, vanilla, and brandy. Mix on low with the dough hook attachment until a ball of dough forms. If it feels tacky and is sticking to the bowl too much, add one tablespoon of flour (up to 1/4 cup more flour) at a time until it pulls away from the sides of the bowl. Mix for another 8 or so minutes until a soft, elastic dough forms. Transfer the dough to a lightly oiled bowl, cover and let rise for two hours (until doubled). Shaping: When the dough has doubled, turn out onto a lightly floured surface and divide into 24 portions (I used a scale to divide to be accurate!). Roll each piece into a ball, and place on a lightly greased baking sheet. Cover loosely with plastic wrap and let rise for another 20-30 minutes. While they’re rising, prep your oil! Frying: In a large pot (I used a 5 quart cast iron dutch oven) pour enough oil to have it about 2 inches deep. Heat over medium heat to 350 degrees F, using a thermometer to regulate the temperature. Using a slotted spoon or a frying spider, gently slide 2-3 doughnuts in the oil, one a time.It should take about 1 minute each side. 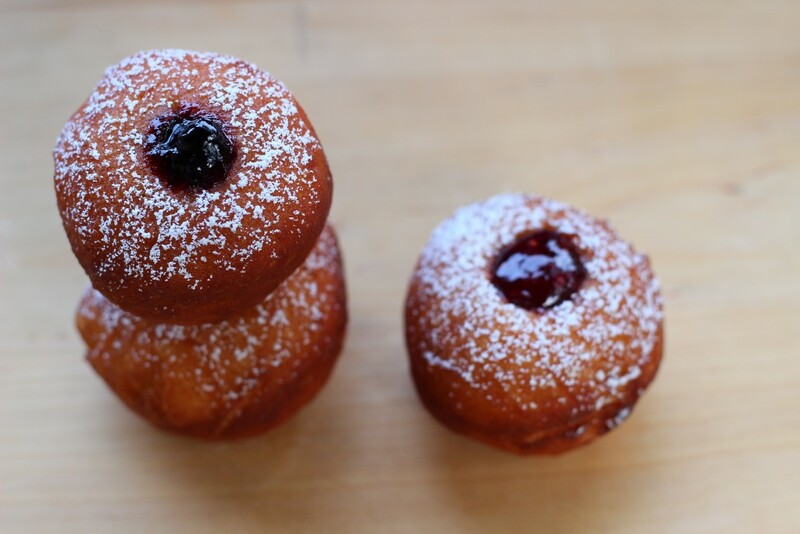 Flip the doughnuts when they’ve got a nice golden brown color. Carefully transfer to a paper towel to cool. 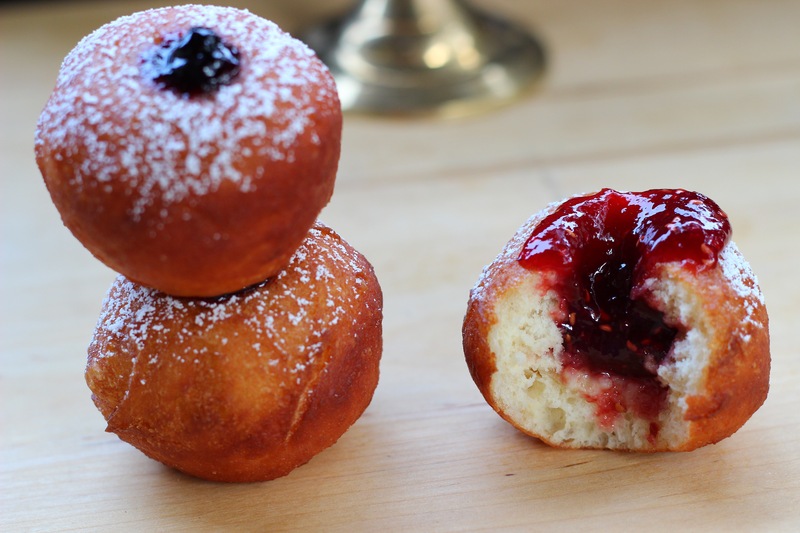 Filling: To fill them, use a piping tip to make small holes in the top or sides of your doughnuts. Then with a pastry bag fitted with the same tip, fill them with jam, custard, chocolate, cream! Whatevah ya want. 😀 Then lightly dust with powdered sugar to finish them. And then proceed to eat them all. 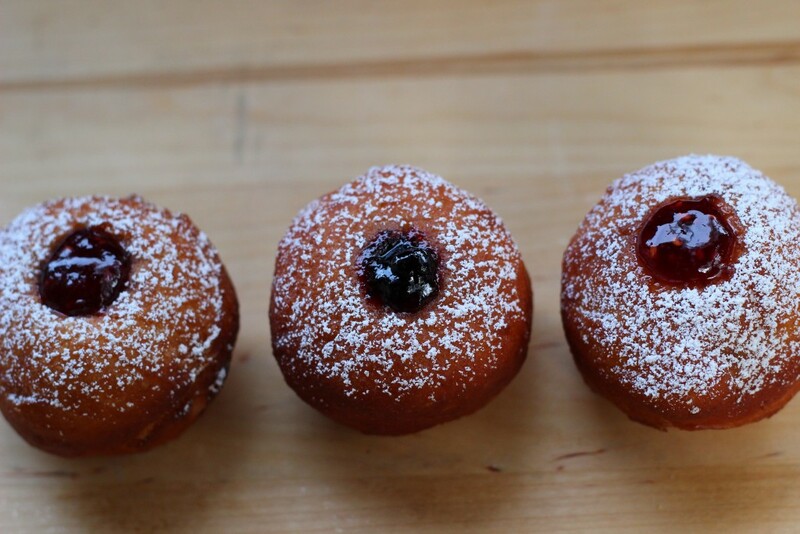 Because fresh doughnuts are irresistible. Look at that fluffy ‘lil guy! And all that jam. Mmmm.